Attorneys and family of Corey Jones, an African-American man killed by South Florida police last weekend, said Thursday they have received some answers about the shooting that occurred while Jones was stranded on an interstate after his SUV had broken down. But the answers were not nearly enough to explain what threat Jones posed to the policeman who shot him, they said. Jones, a 31-year-old professional musician and church drummer in Boynton Beach, Florida, drove home from a gig in the early hours of Oct. 18 and broke down on Interstate 95 in Palm Beach Gardens, attorney Benjamin Crump said during a press conference held Thursday morning at the Palm Beach County Courthouse. While Jones waited for a tow truck, a plainclothes police officer stopped to investigate the stranded vehicle and eventually engaged in an confrontation with the drummer, who was legally armed with a gun, Crump said. "It still boggles the mind of what happened here," Crump said after a meeting with state's attorney Dave Aronberg. The prosecutor told the family that Jones was shot three times and that it is possible the officer did not show the drummer his badge when engaging him. "What are the standard procedures for plainclothes officers?" Crump said. The Palm Beach Gardens Police Department on Monday identified the officer involved in Jones’ death as Nouman Raja, a newer officer who had received a suspension threat at his previous police department for keeping prescription drugs that he seized from a suspect, according to a disciplinary report obtained by International Business Times. Palm Beach Gardens police officials said Raja was “suddenly confronted by an armed subject,” prompting him to engage and fire his weapon. Family members said Jones would not have pointed his weapon if he knew he was encountering a law enforcement officer. "He would not ever, ever pull a gun on police," said Clinton Jones, Jr., the drummer's older brother. "This is not like him." Other members of the musician's family described him as a compassionate individual who always encouraged the best in other people. "He was the person who could bring the softest part out of the hardest person," said Melissa Jones, the deceased drummer's sister. "He would always know what to say to me, to make me smile." The Rev. Clinton Jones, Sr., the musician's father, said he and his wife were vacationing in Jamaica, trying to grieve over the death of his own mother, when he received the call about his youngest son's death. "I raised my children to be respectable and to respect the law," he said during the news conference. "I always tell them to stay humble -- that if you stay humble, God would exalt you." Through tears, the reverend added: "So toady, I need some answers. I need to know why. Why is my son gone today?" 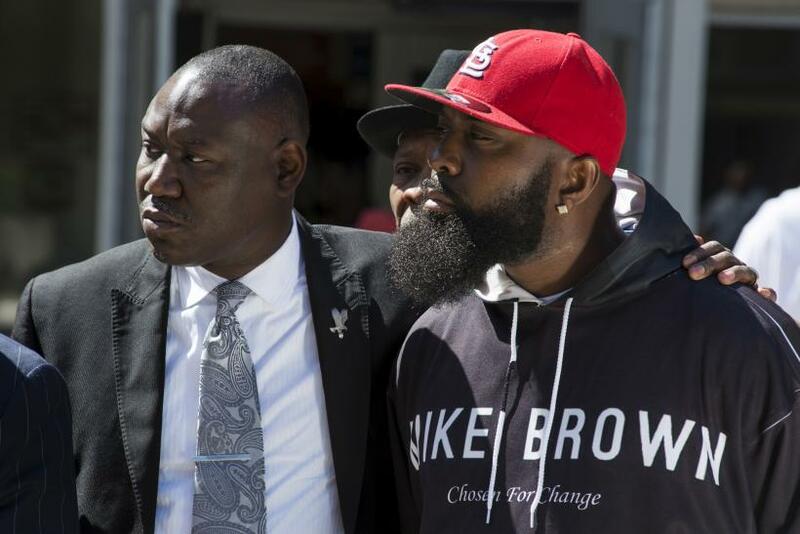 Corey Jones shooting was the latest incident to draw some attention from activists in Black Lives Matter, the national social justice movement seeking changes to criminal justice and law enforcement practices. Clinton Jones, Jr. said his younger brother's shooting should not be an occasion for civil unrest seen in the wake of other police-involved deaths of young African-American men. "This is not a black thing," he said, calling his wife, who is white, to his side at the microphone. "No disrespect to Black Lives Matter, but all lives matter." The family was expected Thursday at a local rally seeking more answers in the case. Veteran civil rights activist and TV talk show host, the Rev. Al Sharpton, said Thursday that he would become involved in the Jones case. "Though I will not be at the rally today, I do intend to be in Palm Beach County in a matter of days based on the request and guidance of the family and their attorney,” Sharpton, the leader of the National Action Network in New York, said in a statement. “The preliminary facts given by the police to the family are disturbing and troubling to National Action Network and we intend to give our full support to further inquiries and the pursuit of justice in this matter,” Sharpton added.